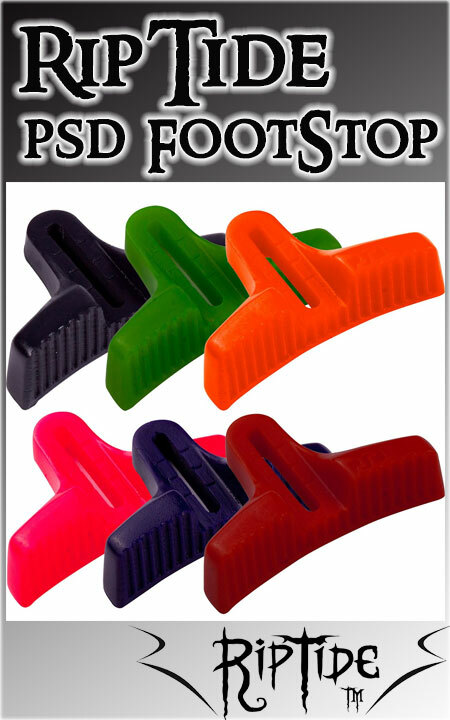 The PSD IN-Side Concave Footstop is made of a resilient 65d RipTide urethane (65d urethane is equivilant to approximately 105a). Urethane construction allows enough flexibility for the FootStop to mold to the shape of your deck and is very durable. Designed by Pritchard Skate Designs (PSD)in the UK and manufactured by RipTide Sports in the U.S. Mounts to deck using the front truck mounting holes for placement to suit your foot stance. One FootStop with mounting bolt and washer. Assorted colors subject to availability.